Three-time Edinburgh Comedy Award nominee and cult optimist is back on the road with her most personal show to date about love, family and being as outdoorsy as a bear. In her last Fringe appearance in 2012, Josie received her third Edinburgh Comedy Award nomination, and at this year’s festival she collected more stars than a small solar system and was officially cited the best reviewed comedy show. Throwing aside the whimsical reputation that she had become known for, a new, more politically aware and socially conscious comedian had emerged and captivated the comedy industry in a totally different way. Josie is renowned for writing about what she cares about and, although there has more recently been a political underlying to her material, she always has the ability to make her shows friendly and silly. As many reviewers point out, you cannot help but come away from her shows hoping to become her best friend. 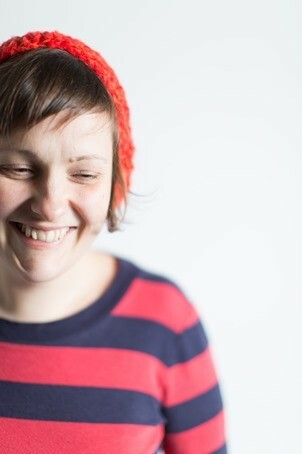 In addition to her numerous DVD releases, TV appearances, sell-out tours, charity benefits and a co-host slot on BBC Radio 6 Music, Josie started an ongoing project in 2011 called the Alternative Reality Tour; an anti-cuts, pro-youth, no-profit performance in a bid to fight for social justice and support public art. They even bring blankets in case it’s cold. She runs a monthly club night in London, The Lost Treasures of the Black Heart, which celebrates the world’s unsung heroes and has since been turned into a podcast. She was recently nominated for a Radio Academy Award for her adventurous short documentaries Short Cuts on Radio 4, earned a BAFTA Scotland New Talent Award nomination for her two short feature films, Let’s Go Swimming and Romance and Adventure, and is co-founder of the Arts Emergency Service, a charity which aims to support students from underprivileged backgrounds who wish to study arts degrees. Her showcase for adventurous documentaries, Short Cuts, can currently be heard on Radio 4 on Tuesdays at 3pm.